*Guide Price £315,000 to £325,000* Beautiful two bedroom apartment in town centre location with parking. With no neighbours in the building its easy to forget you're in an apartment rather than a house. 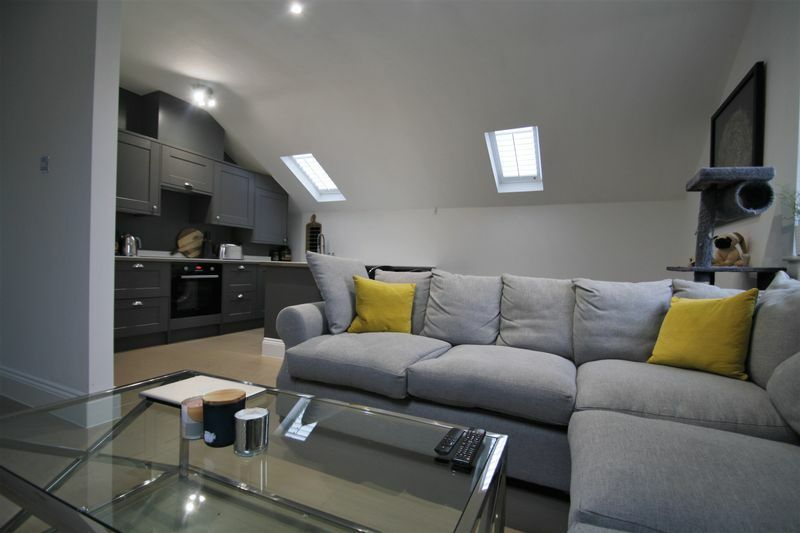 Situated within a gated, small development of mews properties you find this beautiful two bedroom apartment with private parking which occupies the whole first floor of an original converted coach house. Mansion House Mews is ideally placed off of Grove Hill Road with all the amenities on your doorstep to include restaurants and lively bars. A short walk away is Tunbridge Wells Mainline Train station with its regular links to the city and coast within the hour. 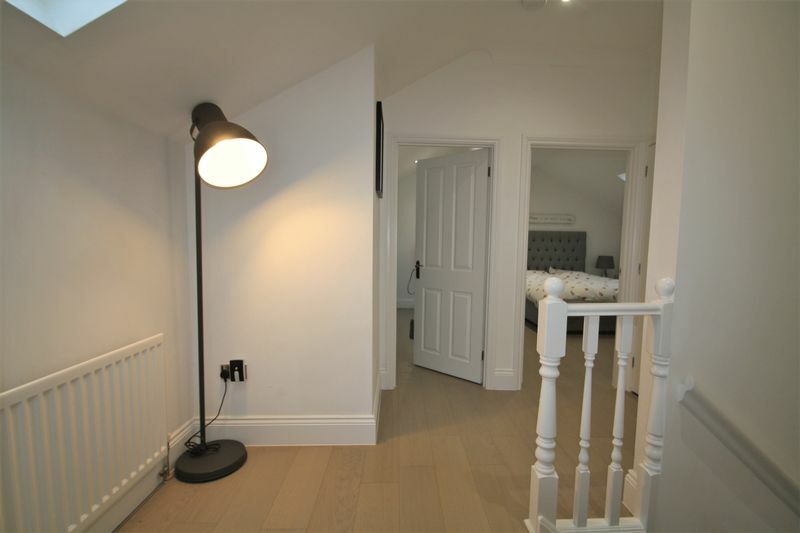 The property has seen a wealth of renovation in the past year to include new bathroom and kitchen with the finished product reflecting that of a new build. The best part of this property is the sense of privacy. With no neighbours either side, beneath, or above its easy to forget you’re in an apartment! 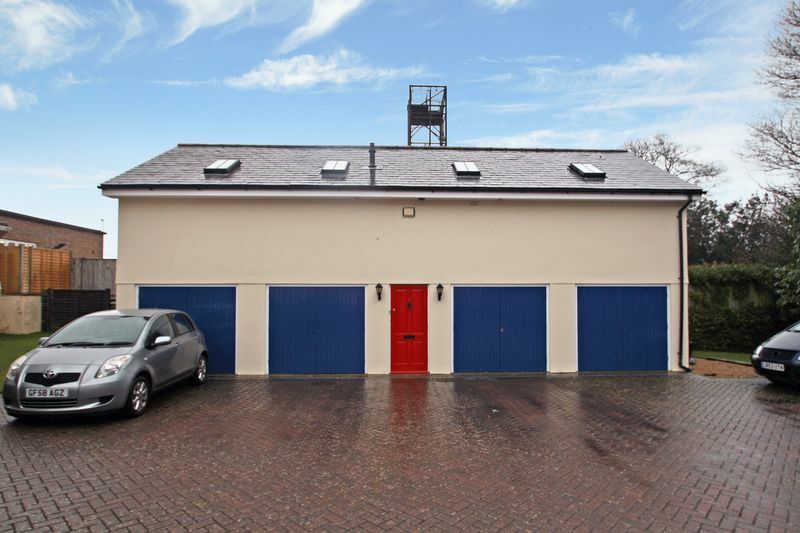 Past the gated entrance and set back from the road you will find the spacious courtyard where this former coach house and allocated, private parking is situated. An entrance door opens into a handy space at the bottom of the stairs to kick off shoes. Climbing the stairs you reach the first floor where the living accommodation and bedrooms can be found from the good sized landing. 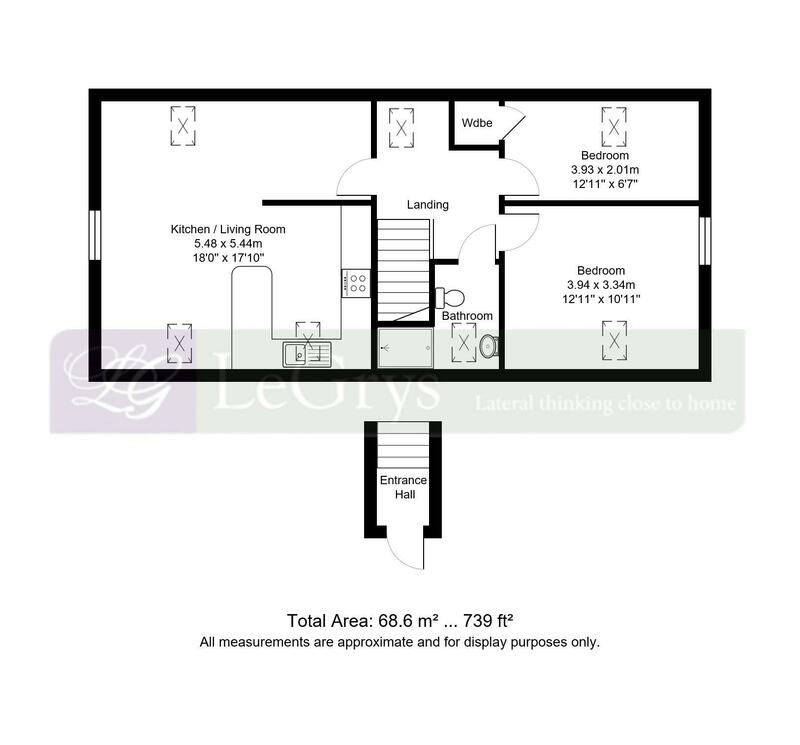 To your left you will find the transformed living/dining area which is open-plan to the newly fitted kitchen. The living space has minimal colour scheme keeping the room feeling fresh and airy with the roof lights drawing in plenty of natural daylight. 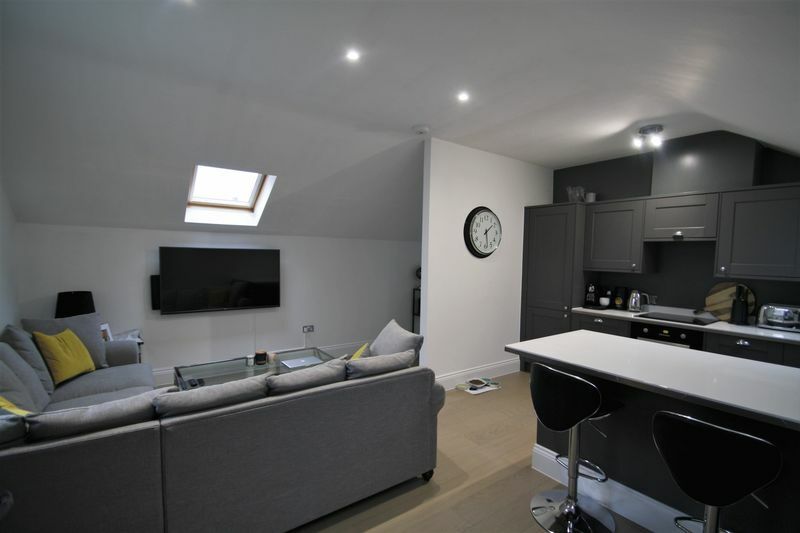 The newly fitted kitchen is open from the living area making a great entertaining space along with a useful breakfast bar ideal for day to day dining. 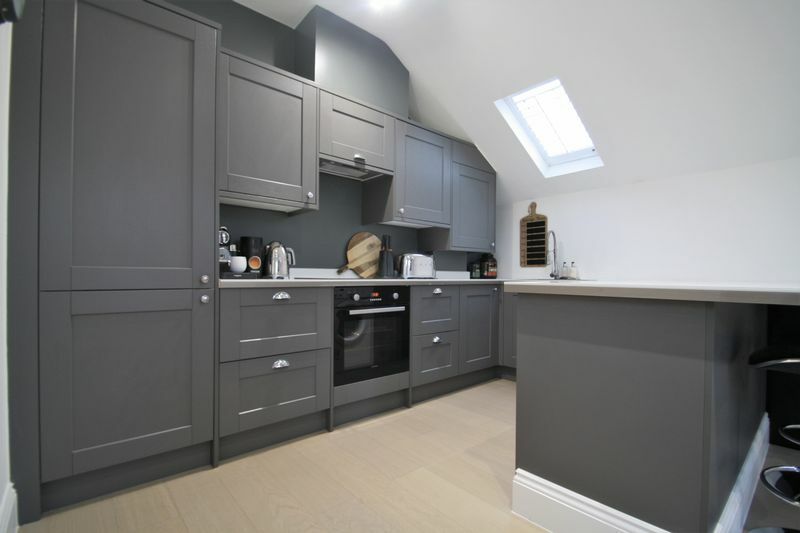 The kitchen itself is finished to a high standard with ample amounts of grey coloured cabinets at both floor and eye level that contrast against the eye-catching white laminate work surfaces. The kitchen comes with integrated items to include a fridge/freezer and oven with hob/extractor above. In addition the sellers will be leaving a dishwasher and washing machine. Sitting to the rear of the apartment you find the two bedrooms and bathroom. 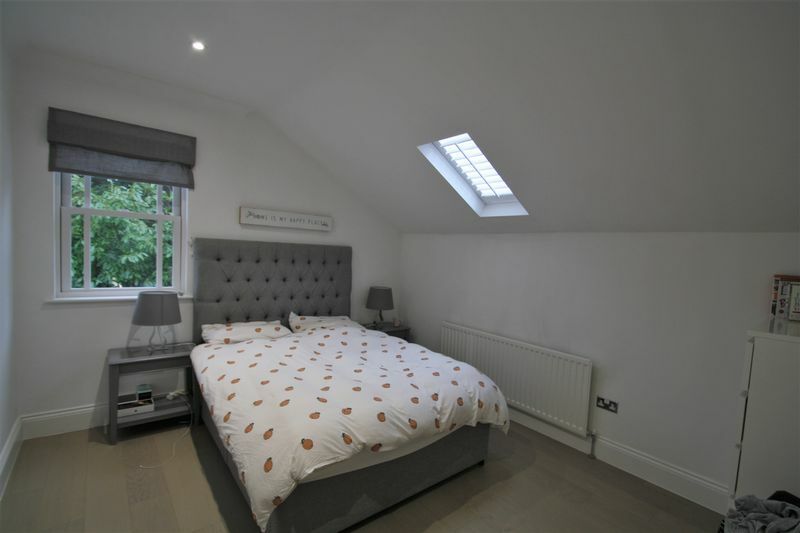 Both bedrooms sit next to one another and both are double bedrooms with roof lights drawing in lots of light. The master bedroom has an additional sash style UPVC window and bedroom two has a useful fitted cupboard for storage. 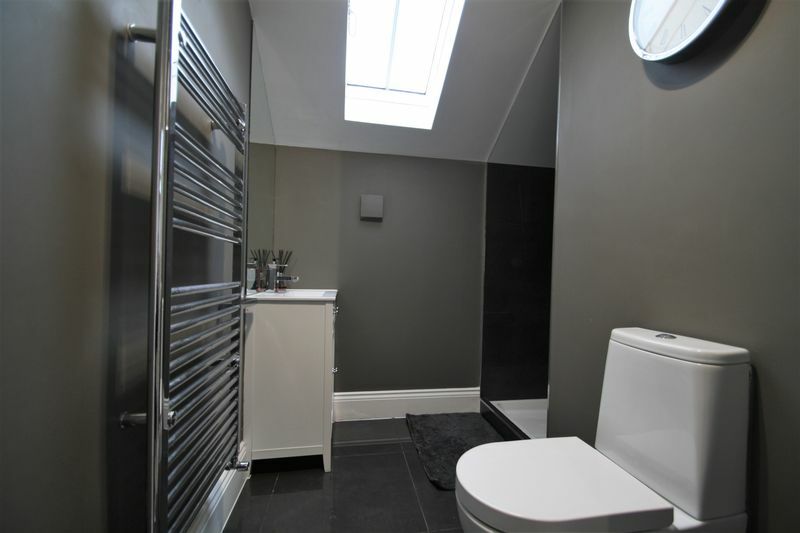 As you would expect in a property of such high standards the bathroom also has the wow factor. The bathroom has stylish polished black floor, which with the dark painted walls contrast nicely against the modern white suite. 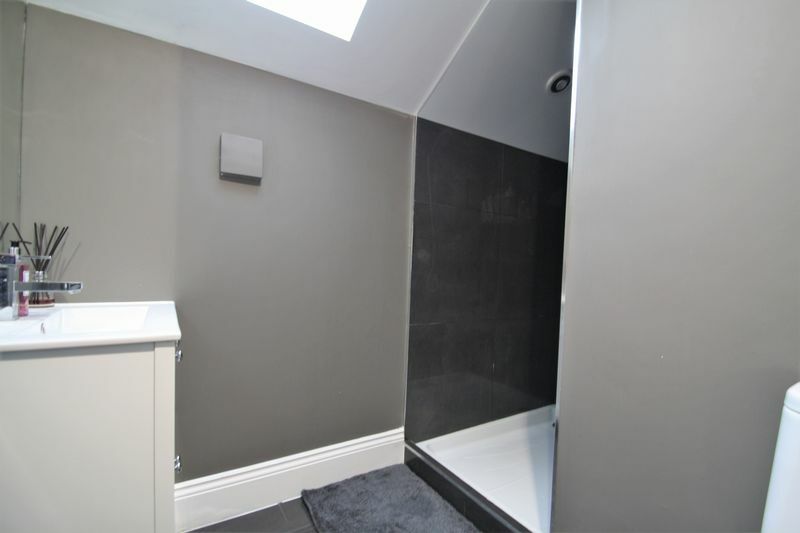 The bathroom comprises of a posh vanity unit, WC, fitted walk-in shower and chrome heated towel rail.